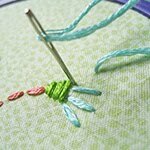 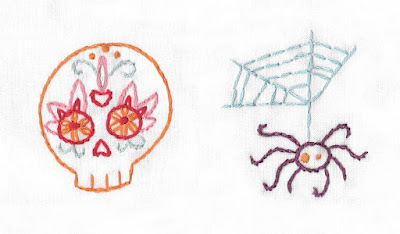 There's still time to do a little festive stitching for this weekend's holidays, so here are a couple of free embroidery patterns from my book, Doodle Stitching: The Holiday Motif Collection! 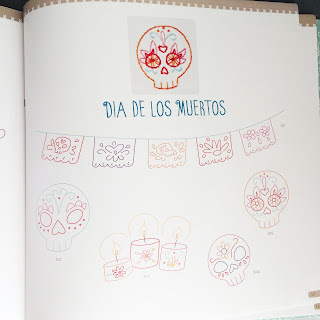 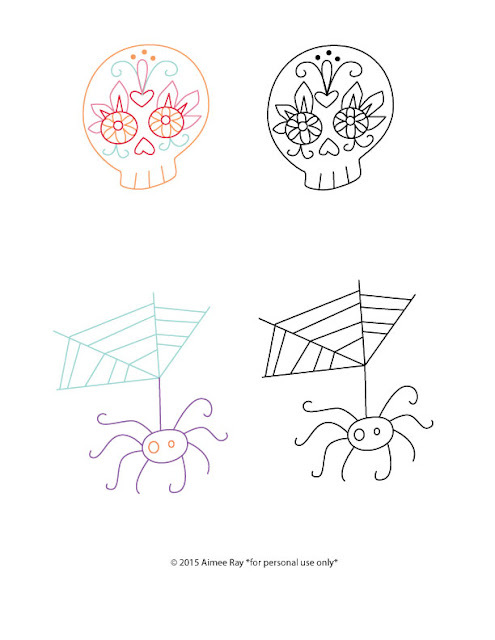 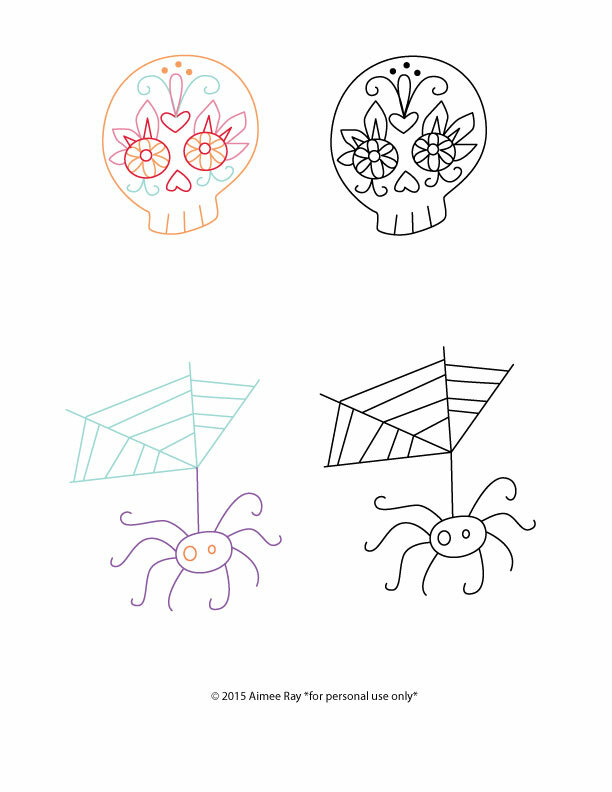 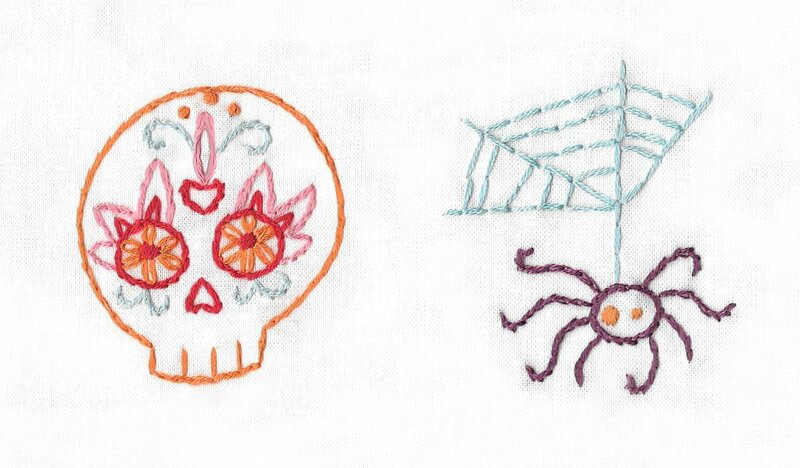 A spooky spider for Halloween and a sugar skull for Day of the Dead, I'm sure you can find a fun use for both! 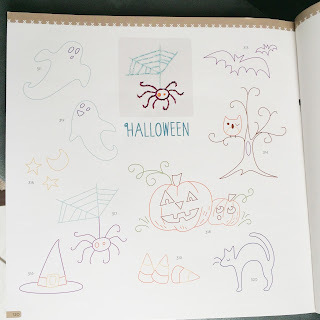 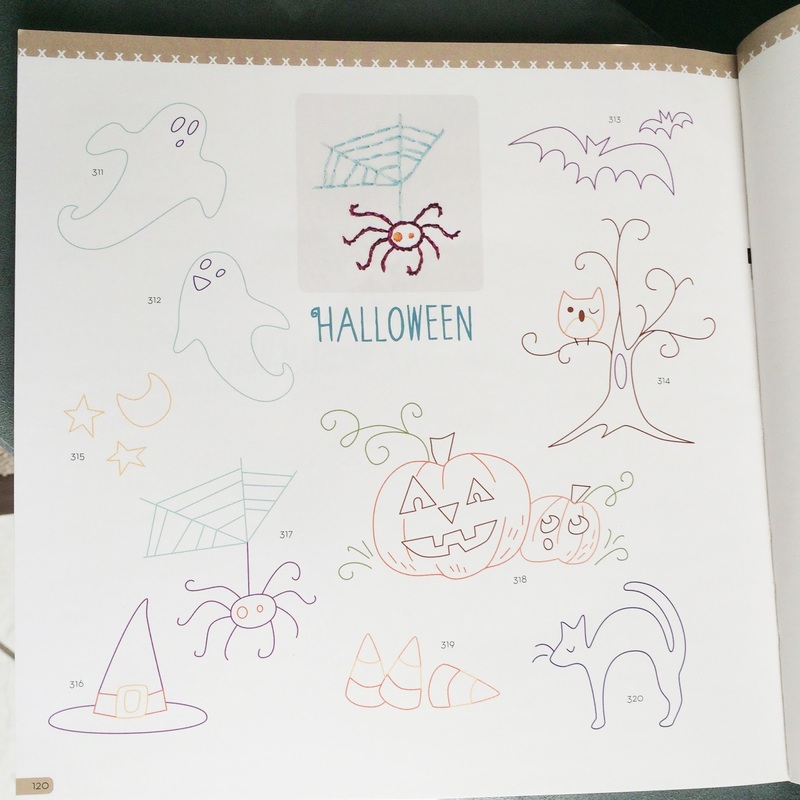 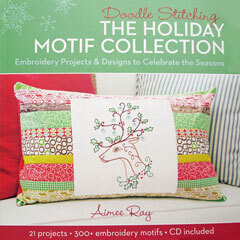 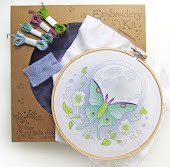 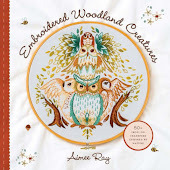 There are lots more patterns for these holidays (and many more holidays) in my book! 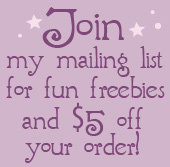 Be sure to check it out, you won't be at a loss for anything to make for the holidays this year.